Well she got jealous. Instead of just being happy that I was happy she twisted it and took offence even though we’ve only recently got back in touch with eachother. Very few people in my life seem to care about how I feel and understand me. Actually through blogging I’ve met some awesome people who get me. Weird isn’t it? 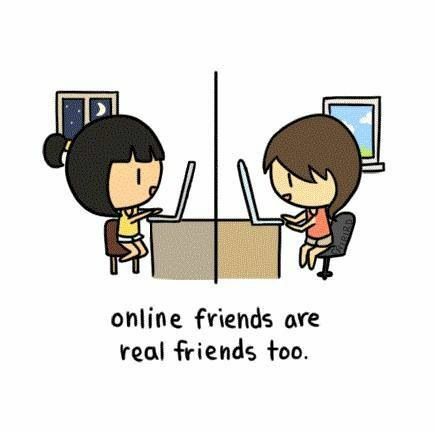 I feel more of a connection to people who are miles away and I’ve never met than I do with people I know offline. I miss my metaphorical brothers right now. Girls can be so complicated, I’m a female by the way so I know what I’m talking about. A friend should be happy for you when you’re happy not bring you down for it. Being jealous that you hang out with other people? She need’s to understand that THAT is going to happen and although you may be her only friend doesn’t mean that she has to be you’re only friend. I admittedly got jealous that my best friend hanging out with other people because I felt left out and I felt that he was my only friend, but what kind of friend would I be if I expected him to not have other friends, to bring him down to my level making him just as lonely as I felt. She can’t expect that of you. If she’s a good friend at all she would find a way to accept that, and be happy that you are happy. Anytime 🙂 It just made me sad to see something make you feel so happy just to have someone try and bring you back down.